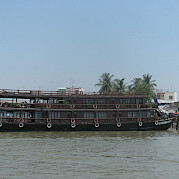 Discover by bike and boat this fascinating and mystical country on the other side of the world. 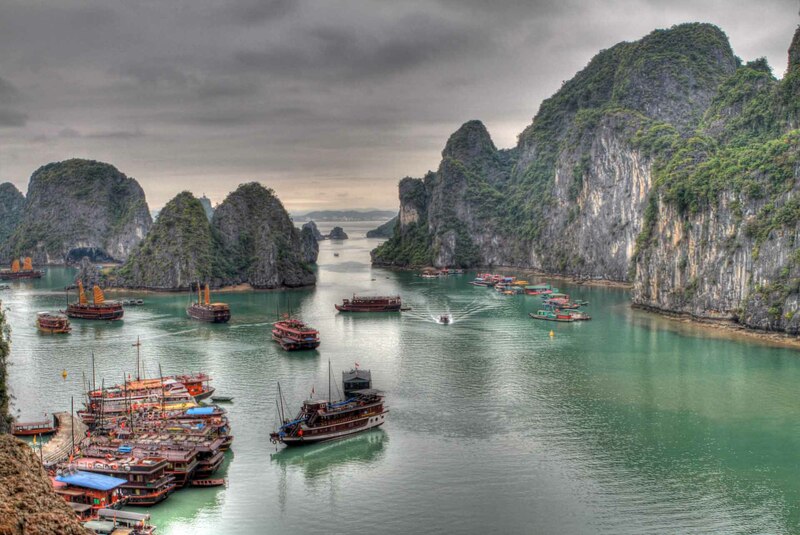 On a traditional junk, the rocky fairytale world of the famous Ha Long Bay spreads before you. 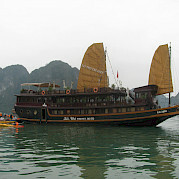 Halong translates as ‘where the dragon descends into the sea’. Legend claims that the dragon descended from the rocky crags and created the islands. What better way to explore this unique landscape then by bike, boat, and kayak. 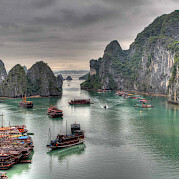 Vietnam's color, chaos, and natural beauty underscore its contrasts with bustling cities like Hanoi, a fascinating blend of east and west, and sleepy villages where time has stood still. Looking for more? View all of our featured bike and boat tours or our full list of bicycle tours.